Frankfurt is a modern, bustling city filled with dynamic businesses and is served by Europe's third-largest airport. The city also houses Europe’s largest financial institutions. Frankfurt prides itself on balancing its cutting-edge modernity with German traditions. The Frankfurt exhibition grounds are located at the heart of Europe. Given its strategic location, Messe Frankfurt can be reached quickly and easily from anywhere by air, rail and road. The facility hosts around 43 large-scale trade fairs and exhibitions that attract a total of 40,800 exhibitors and 2.2 million visitors annually. If you are in a wheel chair, you will find all the information you need for a barrier-free visit to the Frankfurt exhibition grounds here. 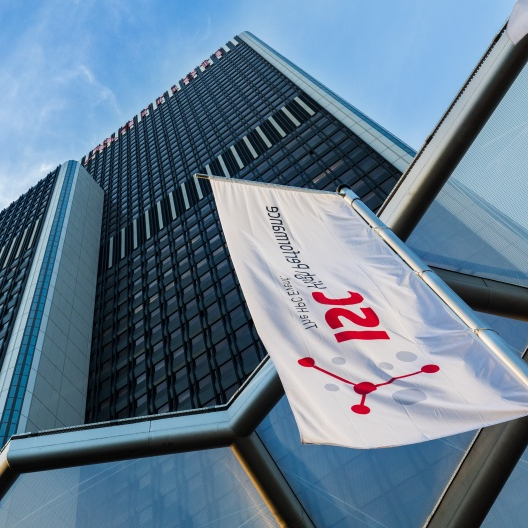 *The ISC 2019 Workshops will be held at the Frankfurt Marriott Hotel, located on Hamburger Allee across from the Messe Frankfurt. The easiest way to travel between the airport and Messe Frankfurt is the S-Bahn. The commuter railway lines S8 and S9 leave from Regionalbahnhof (regional train station) under Terminal 1 in the direction of Offenbach Ost and Hanau. The first two stations from Frankfurt Airport are Stadion (Commerzbank-Arena, Eintracht Frankfurt) and Niederrad. The third stop after 12 minutes is Frankfurt Hauptbahnhof (Frankfurt Central Station). Exit the central station to catch either U-Bahn Nr. 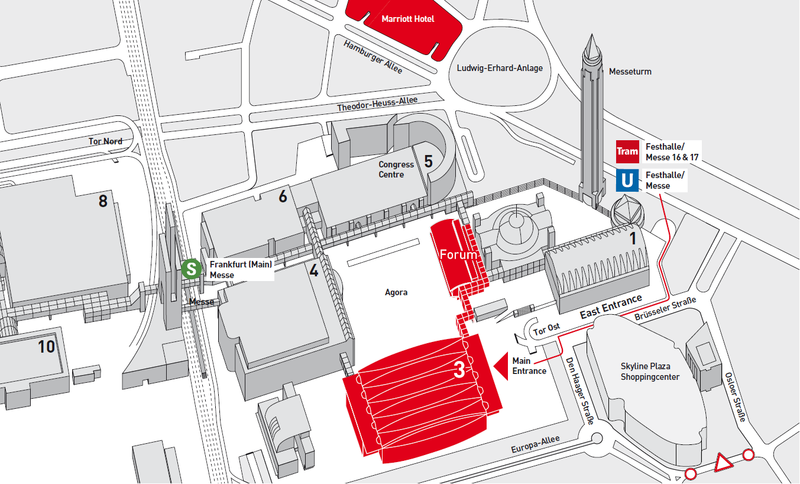 4 (direction Bockenheimer Warte), Tram 16 (direction Ginheim) or Tram 17 (direction Rebstockbad) and get off at Festhalle/Messe and walk for about five minutes to Entrance Festhalle Süd and follow the signage to Halle 3 (Hall 3). Please note: Limited access to the fair grounds via the S-Bahn Terminal at stop "Messe Frankfurt"
A ticket costs € 4.95 for adults (Preisstufe 4), tickets can be purchased from ticket machines at the regional train station. This ticket is good for a one-way trip to the Festhalle/Messe stop. If you are relying on Deutsche Bahn to get to Messe Frankfurt, use the U-Bahn or the tram line mentioned above in “Arriving by plane” once you get to Frankfurt central station. It is possible to reach Messe Frankfurt via the Autobahn or through the city of Frankfurt. You’ll just need to follow the overhead signs leading to Messe Frankfurt. Simply enter "Katharinenkreisel" as your final destination into the navigation system or use this google map. To access the fair grounds with a vehicle please use Tor Nord (Gate North). The designated parking lot for the duration of the event (June 16-19) is P3. Parking permits can be obtained on site. Parking spots are available in lots P3, which cost 17 EUR, including VAT, per day or 51 EUR, including VAT, for the duration of the event. Trams no. 16 (direction Ginnheim) or 17 (direction Rebstockbad) from the Frankfurt central station also stop in front of the Marriott Hotel. Your stop will be Ludwig-Erhard-Anlage (one stop after Festhalle / Messe). 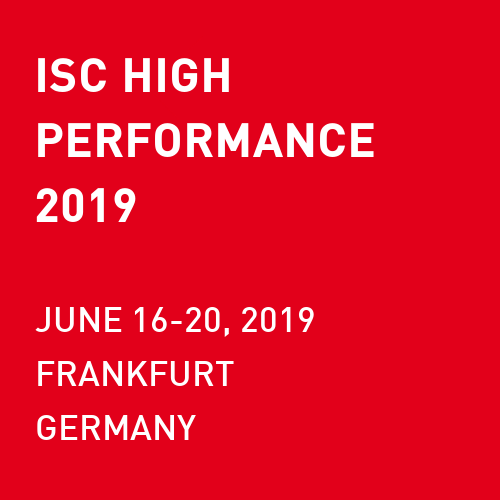 The ISC High Performance 2019 official hotel partner is Mövenpick Hotel. 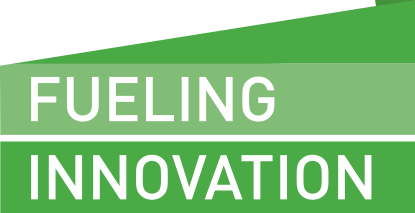 The hotel offers special room rates to our ISC attendees and exhibitors from June 14 - June 20, 2019. 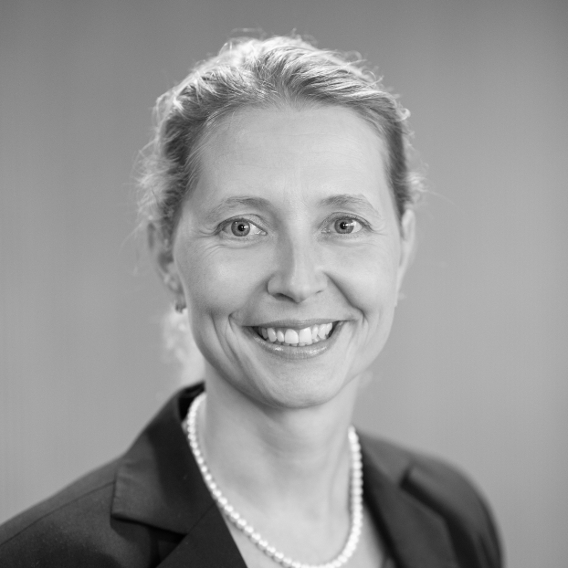 More hotels near the exhibition grounds can be booked via our official booking agency CPO Hanser. For making a reservation please click on the booking link or contact them directly. In the latter case please also mention the booking code. If you want to meet a business contact outside the fairground, there are quite a few restaurants within walking distance. You can use the great Frankfurt restaurant guide to help choose one. There is also a shopping mall very close by, offering a supermarket, a pharmacy, an electronic store, various shops, a food court and a rooftop restaurant. If you need a visa to enter Germany, you might want to do that in advance, as it takes about several weeks/months for the German embassy or consulate to process your application. Please check the website of the Federal Foreign Office to find out if you require a visa to enter Germany. As a rule, visa applicants must appear in person at the embassy or consulate responsible for their place of residence to submit their application, supported by all necessary documents. Visa application forms can be obtained from the embassy or consulate free of charge (in the local language). Please consult the local German embassy or consulate for more information. As we are only able to generate invitation letters for visa application through the registration site, it is important that you complete the online registration process to obtain your letter.